Ok, so I don't have an actual job-type-job and when I did, there were no restrictions on nail color. Old ladies with too much botox and cars worth more than my house seemed to love my wild nails. But I have a friend who can't do anything fun with her fingernails because she has a "srs" job. Boo to that. I decided that, in honor of her, I would figure out some fun nail arty-type-stuff that is work appropriate. I'm going to do a whole series, I think. Muted colors don't have to be boring. 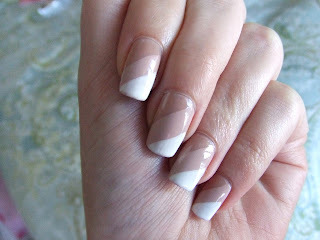 I kinda ended up with a modified french manicure kind-of thing. I did the worlds shittiest job painting my nails though, not at all proud of that. I just couldn't get things to go my way. Even the Poshe topcoat (which I love, by the way.) was being weird and lumpy. And because each layer was wonky and thick, it took forever to dry...which is why the topcoat dragged a bunch. Perhaps I should start doing fancy things before 9:00pm? Regardless of the wonkiness in my application, I really like how it turned out. It's neutral and subdued, but not super boring. 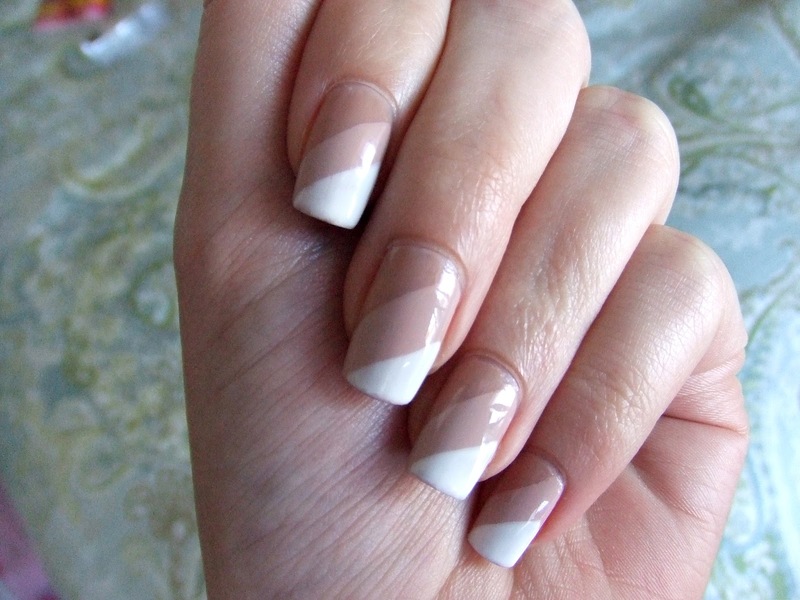 Best of all, the angled white makes my nails look really long and straight. 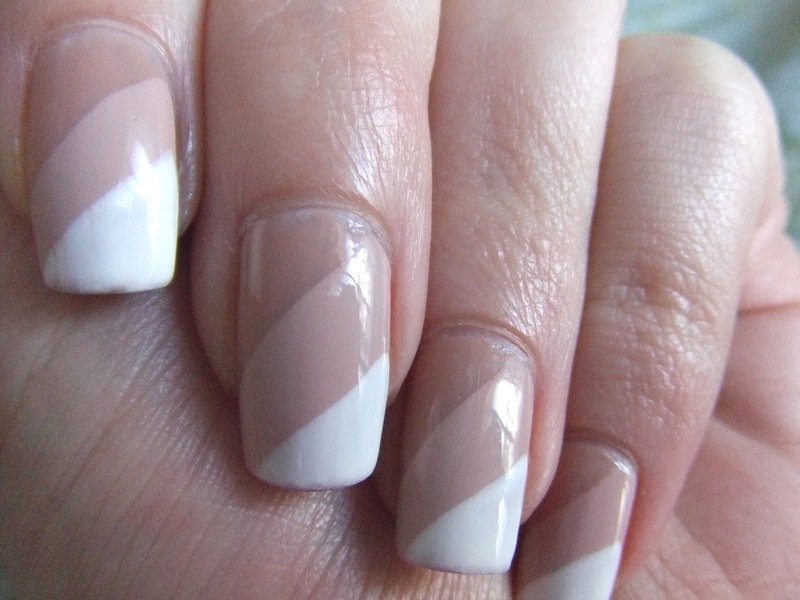 Sally Hansen Complete Salon Manicure in "Cafe au lait"
Wet'n'Wild in "French White Creme" <---this one is great for frenches because it has the old-school narrow brush. Not great for painting the whole nail, but awesome for this.